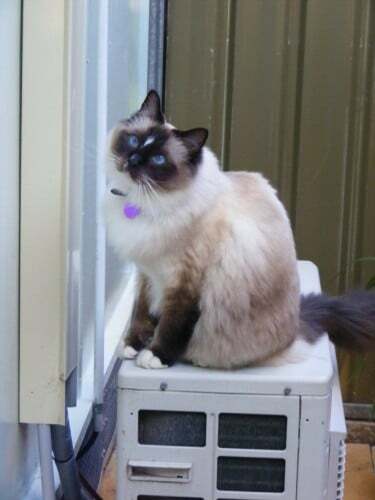 REUNITED Ragdoll CAT – Guildford NSW – Thank you everyone for your concern. 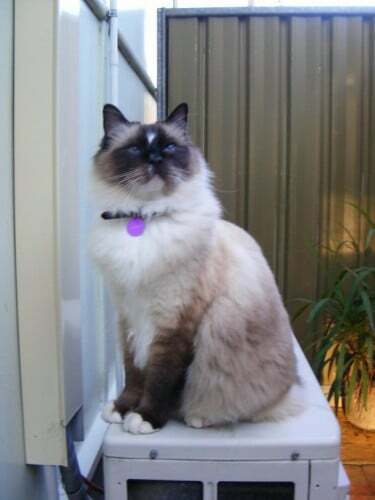 Home » Lost » REUNITED Ragdoll CAT – Guildford NSW – Thank you everyone for your concern. 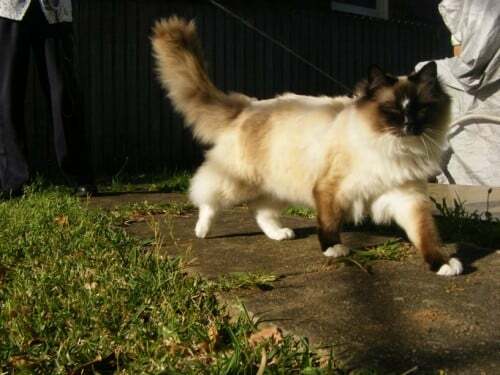 Miki the Ragdoll CAT – Has returned HOME. Thank you to everyone for your concern & help searching for him. He arrived home this morning at 3am, crying at the door, much to his mum & dad’s delight. He has lost some weight but is fine… he probably has a few stories to tell after a week on the prowl!!! 2 year old, Desexed Male Ragdoll cat. He was wearing a black collar with purple ID name tag (Miki) and he is Microchipped. A large, fluffy attractive Mitted Sealpoint Ragdoll cat, Miki has a White blaze of fur between his blue eyes; with a dark face, ears, tail & legs on a mainly cream body, and cream toes. Missing right hand upper & lower fangs. Very shy of people – Miki will be hard to catch so please don’t chase/startle him. Try to keep him in the location you spot him by offering food & calling his name, but it is unlikely he will come to anyone. Please contact us URGENTLY if you see Miki, he is a much loved family member who is not streetwise.